What is the Albion Online game? Albion Online (AO) is a medieval fantasy MMORPG developed by Sandbox Interactive, a studio based in Berlin, Germany. Albion online now offers a selection of "Starter Packs" which grant players access to the game and offer a varying amount of gold to get started. Once a player purchases any of the starter packs, they will be granted open-ended access to the game with no extra mandatory fees. In other word, you need to pay for the game in form of buying the starter pack to unlock full content and to stop the free trail status. Albion Online remains very motivating despite the large grind, thanks to the many and freely selectable options for character development. With thousands of players online simultaneously, a huge territory to explore, and plenty of room for Guild vs Guild combat, Albion Online offers an outstanding experience for MMO fans. If you like to get involved in a fantasy world with heavy guild warfare with your friends, this is it. Cleric, Scholar, Mercenary, Hunter, and Assassin are the most popular classes in Albion Online, you will enjoy the PvP combat with other online gamers. Why you need the Albion Online Silver (Gold) in-game? The Albion Online Silver is the most important currency in the game, you can use it to purchase items. 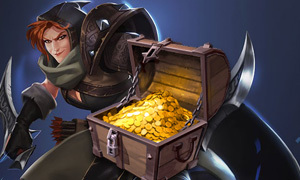 It is possible to purchase gold (in-game premium currency) to gain a further advantage. Players can also purchase membership for a limited amount of time without the benefits of the starter packs. Or you can buy Albion Online Gold from Joymmo.com online store for full platforms: Microsoft Windows, OS X, Linux, iOS, and Android.